With over 25 years of ministering to small and large groups, both Tommy and Pat are experienced seminar speakers and workshop leaders. They are available to minister in local churches, retreats or conferences on a variety of Biblical topics. Pat has a Joshua anointing to teach men and women the spiritual principles and truths found in God’s Word. She teaches others how to reach their potential in Christ, how to properly relate to their husbands, wives, children and parents. Her favorite subject is helping others learn how to conduct personal, spiritual warfare for themselves and their families so they can achieve a victorious life in Jesus Christ. 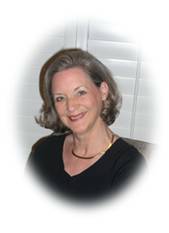 Pat has a Bachelor of Science in Elementary Education from the University of Memphis with 18 years teaching experience. She has a Masters of Arts in Human Services Counseling from Regent University, Virginia Beach, Virginia. She has been teaching the Word, counseling and speaking to Christian groups for over 25 years. She provides solid Biblical teaching on a variety of topics such as. . .
We invite you to look through the rest of our website at Tommy's book entitled Be Reconciled which discusses establishing justice in the church. Tommy is available for speaking engagements as well and would welcome your inquiries about his research and development of this subject.